Report – Kimi Raikkonen set the third fastest time in the second free practice session for the Italian Grand Prix, while Fernando Alonso was fourth. Temperatures were slightly higher this afternoon than in the morning at Monza, as the F14 Ts completed a total of 57 laps between them, which is more than a race distance. Kimi and Fernando continued to work on set-up and ran a comparison between the two compounds Pirelli has supplied this weekend: the Hard, which was also tried in the morning and the Medium, which is faster over a single lap. Raikkonen did 31 laps, the best in 1.26.331 and Alonso did 26, the fastest being a 1.26.565. In the final half hour, both Scuderia drivers did long runs so as to evaluate the behaviour of the car and tyres over a long run. Report – Under overcast skies, but in dry conditions, Fernando Alonso and Kimi Raikkonen completed 23 and 27 laps respectively, working on set-up, while also starting work on evaluating the Hard Pirelli tyres. Fernando’s best time was a 1.27.169, which puts him fourth, while Kimi stopped the clocks in 1.27.493 to take seventh place on the time sheet. That didn’t hurt, seeing Kimi before everybody else, exept the Merc’s of course. This pace of Kimi´s car promises for tomorrow in qualy a good place! 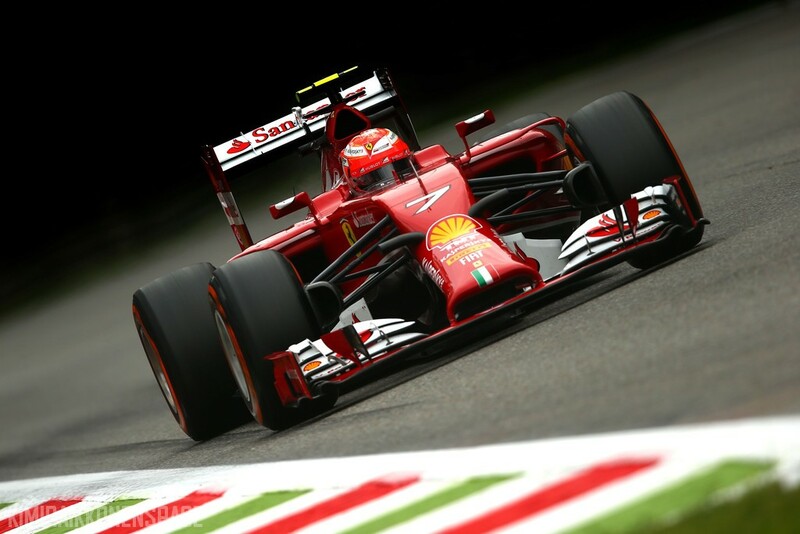 Go Kimi…….we know You´re doing the very best You can do with your F14T! !